Sea turtle walks | Your Beach House in Ghana • Right at the ocean! Seeing a sea turtle crawling her way up the beach can be a fascinating experience. Especially when you go with a guide. They are protected and endangered animals; spotting one is not guaranteed. In Ghana, olive ridleys and leatherback turtles are known to nest, but green sea turtles also have been seen offshore and are occasionally captured in nets. Please note that Female turtles tend to be very sensitive to disturbance and light. It disrupts them from laying eggs. The Wildseas Conservation Ghana is working together with Ko-Sa Beach resort and the Wildlife Division of Ghana. Together they are protecting sea turtles in the area where the Ayikoo beach house is located. Ko-Sa assists in tagging of the turtles and collecting data. During the nesting season they organise walks in the evenings to observe sea turtles laying eggs. The nesting season peaks in October for the Olive ridley and between December and January for the Green and Leatherback turtles. 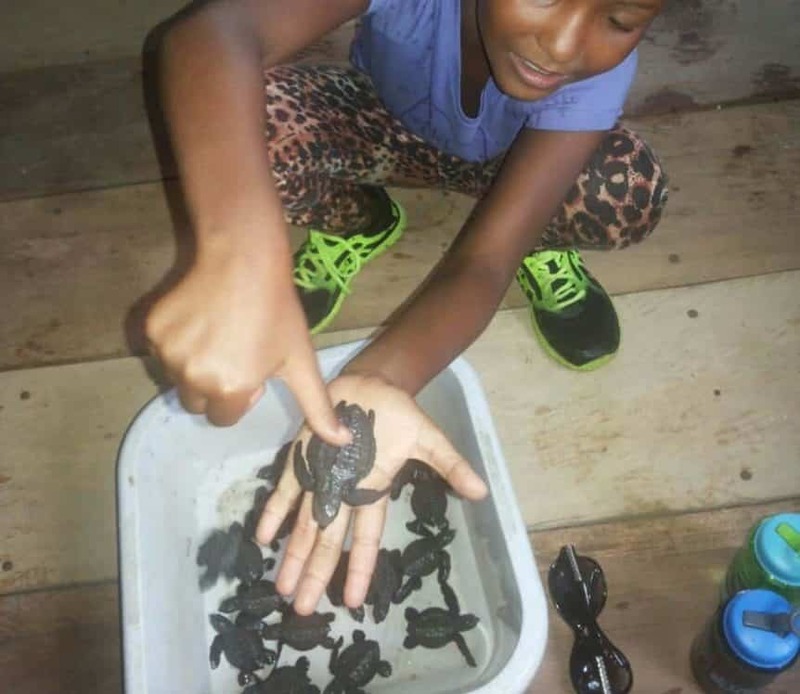 If you like to sponsor the Sea Turtle Project in Ampenyi community you are most welcome to join (kindly make prior arrangements with Ko-Sa beach resort). Ko-Sa beach resort is a 5 minute walk along the beach from the Ayikoo beach house (in western direction).